Oh boy. I know I keep saying this, but how on earth have another two days passed? 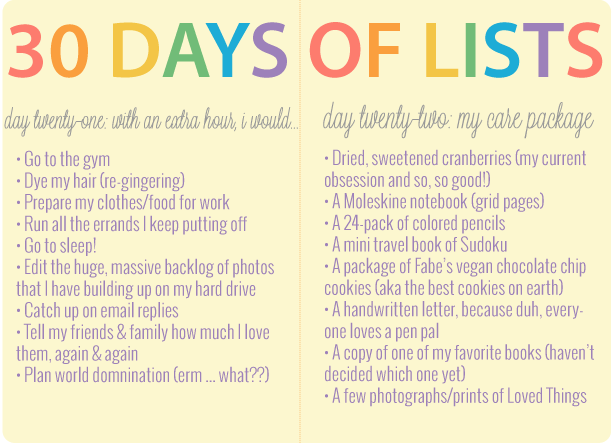 My last set of lists got featured on the 30 days of lists blog, which was pretty cool.